Very Good. Minimal wear to cover. Pages clean and binding tight. Some bumping on edges. Hardcover. Very Good. Sewn binding. Paper over boards. 224 p. Contains: Unspecified. The renaissance of vinyl remains strong and has brought back the listening session: playing one album, all the way through, preferably with a drink in hand. 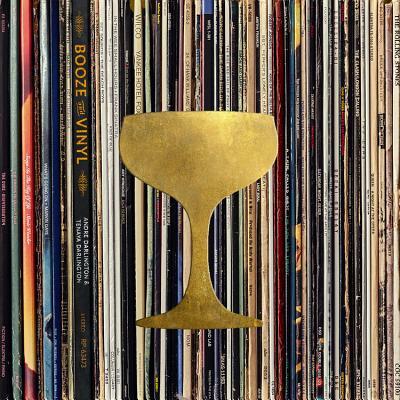 Booze and Vinyl--a collection of groundbreaking albums paired with mood-setting mixed drinks--is sure to please both fans of great music and cocktail enthusiasts. Very Good. 0762463473 signs of little wear on the cover.